This is Day 11 of our 12 Days of Christmas Decorations series … check out all of the posts here. Christmas lights are the best. In fact, they might be my favorite part of the holiday season. There was an amazing neighborhood in my hometown that was always decked out for Christmas with tons of lights. I can remember waiting in lines for hours to drive through the houses. My plan has never been to do up our house like that – but I love having different elements of lights around the front of the house for our friends and neighbors to enjoy throughout the season. 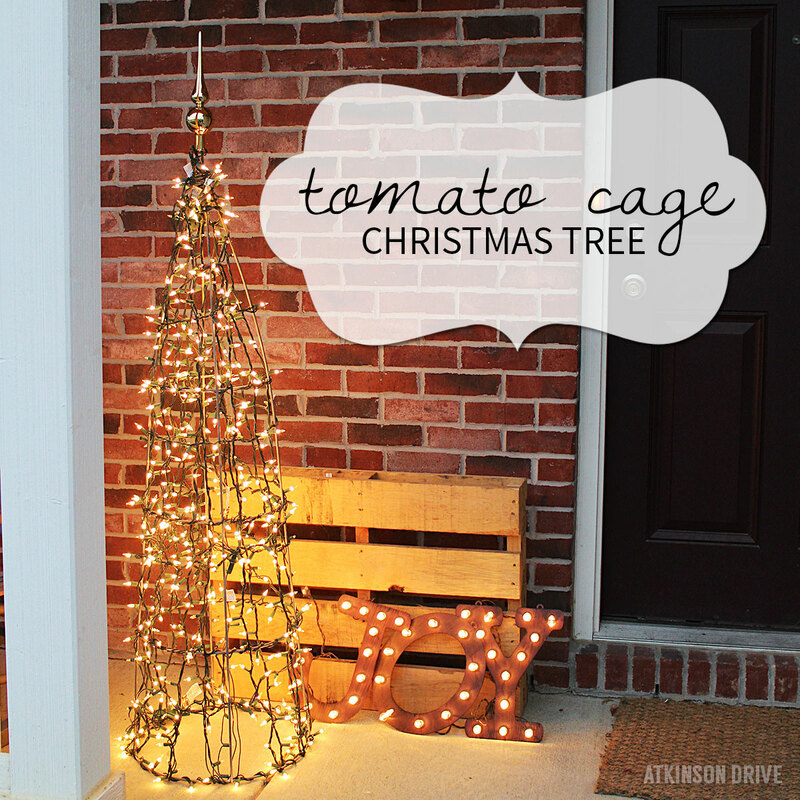 That’s why I absolutely love these tomato cage Christmas trees!